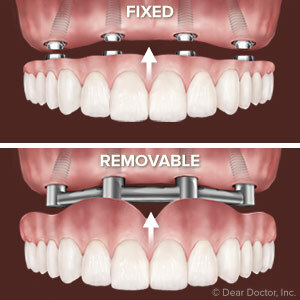 There are some unique benefits that only implants can offer a toothless smile. Dental implants are pretty incredible. Not only can they replace one or more missing teeth but they do so by mimicking how a real tooth functions. In fact, implants are as close as you can get to the real thing. So if you are dealing with tooth loss and thought there wasn’t a restoration out there that could fully restore your smile, think again. From the office of our Green Bay, WI, dentist Dr. Adam Pasono, here are some of the wonderful benefits of getting dental implants. 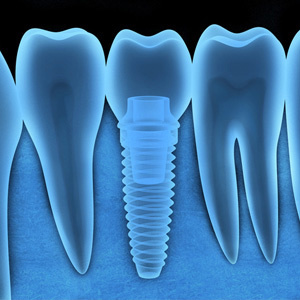 Dental implants are truly the only lifelong tooth replacement option out there. It’s made from titanium, which is a biocompatible metal that naturally fuses together with the jawbone. It’s this implant’s ability to naturally fuse together with the jawbone that allows the implant to stay in your mouth for the rest of your life with the proper care and hygiene. We know that denture wearers aren’t always as satisfied with their new teeth because they don’t always stay in place when chewing or biting down. If you find yourself becoming frustrated by this then it might be time to ask our Green Bay, WI, general dentist if dental implants are right for you. Implant supported dentures won’t move or shift around, so you’ll enjoy restored speech and chewing. When you get a dental implant not long after losing a permanent tooth not only will you enjoy a fully functional smile again but having this prosthetic will prevent the other teeth from shifting into the gap and causing misalignments in your smile. The sooner you seek treatment for your tooth loss the better when it comes to preventing these complications. Another major complication of tooth loss is bone loss. This is why it’s so important that you replace your missing teeth as soon as possible. Of course, dentures and bridges won’t be able to prevent the jawbone from deteriorating over time, but dental implants can. How? Well, dental implants function just like tooth roots, and since they fuse together with the jawbone and tissue to become one this also means that the jawbone is now getting the full stimulation that it needs from your dental implant to remain strong and healthy for life. Green Bay Family Dentistry is ready to help you conquer your tooth loss and to get back the smile you deserve. If you are ready to find out how implants can help you then it’s time to call our Green Bay, WI, dental office today to schedule a consultation with us. 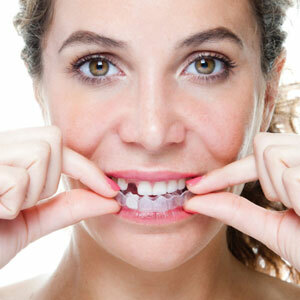 Are you suffering from the loss of teeth? Do you want a beautiful smile? If the answer is yes, then you need to speak with your Green Bay, WI, dentist Dr. Adam Pasono about dental implants. Dental implants are made up of a titanium post that is surgically inserted into your jaws to replace your missing tooth root. Dental implants help stabilize, strengthen and prevent weakening and shrinking of your jawbone. The next step involves sealing your gums and allowing 3 to 6 months for osseointegration, the process in which the titanium post fuses to the jawbone, to occur. You will then need to come back to the dentist's office in Green Bay so that the dentist can re-open the area above the titanium post, insert a screw, place an abutment above the screw and secure a crown on top that matches the rest of your teeth. Also, a change in diet may benefit your dental health. Eating plenty of fruits and vegetables, and avoiding sugary foods to prevent accumulation of plaque is good preventative dentistry. Make sure you drink plenty of water too! Water will remove food debris and help avoid cavities. If you have more questions about dental implants, call Dr. Adam Pasono in Green Bay, WI, at (920) 432-8492.